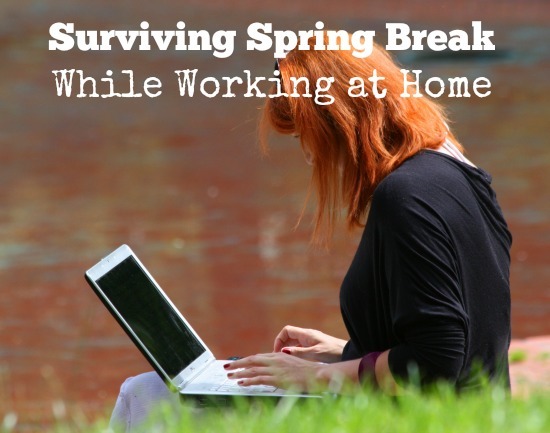 As a mom who works from home, holidays and vacations can be challenging. My husband and I snuck away a few weeks back for a 5 day cruise for our anniversary, so we couldn’t afford taking any more time off of work for Spring Break this past week. This left me with 2 kids home all day for 5 days (if you don’t count the weekends) with me having to work. SLEEP IN: This was one of my favorite parts of Spring Break because each day started a little slower than usual, we slept in and didn’t rush to get out the door in the morning. There was less arguing than usual and less showering on the few days we decided to stay in our pajamas. 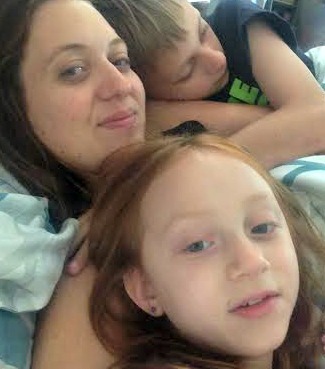 Yes, that’s the 3 of us cuddled up in bed with our messy hair and no make-up. EASY MEALS & SNACKS: Whenever the kids are home with me for more than a day or two I try to have easy to grab snacks and meals. My kids are both old enough that they can help themselves to most things in the kitchen. Frozen waffles and pancakes are a staple in our household! For lunches we relied on leftovers or things that I made ahead of time (like the big bowl of mac-n-cheese that lasted for days). Snacks are relatively easy if you have fruit, yogurt, chips, and GoGo Squeeze on hand. FREE WIFI: I decided I wasn’t going to stay at home all week and allow the kids to be completely bored or glued to their electronics. Granted, there were days when that’s what we did! A visit to the library, the skating rink, or AirHeads wouldn’t have been as easy to do if they didn’t have free access to wifi. I packed my Chromebook and attempted to get a little work done while the kids were able to play. Unfortunately, technology isn’t always perfect and even wifi goes down (like we experienced on a rainy day at AirHeads) and I have to rely on my iPhone and cell phone service for work. FLEXIBLE HOURS: I already mentioned it above but having the ability to work in the evening once the kids were in bed is an absolute must! Having a few hours to relax with the kids and play board games during the day helped to balance out the amount of screen time the kids were exposed to each day. Even without strict bedtimes over Spring Break my kids had daddy to entertain them in the evening hours so I could get a little more work done. CHILL TIME: I’m not the very best at making time for myself; we’re all guilty of that I’m sure! I did find time to continue working on my cross stitch project, read my newest issue of iBlog magazine, or relax with my Yuzen subscription box. The contents of the Yuzen box really allowed me to unwind after a hectic day with the kids. Right now I have a Level Naturals travel candle burning next to my desk and I’m nibbling on a Sun Cup dark chocolate mint cup! 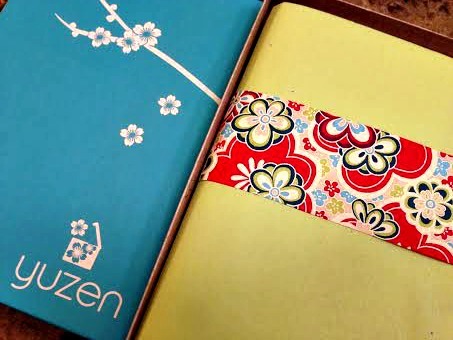 When I’m done writing this article I’m going to dive deep into my Yuzen box and get ready for tomorrow. FORGET THE MESS: My one rule for the week was to let the kids make messes. My daughter played with Play-Doh almost every afternoon and left crumbs all over the floors and table. They made forts in the living room, played post office with my empty boxes, and made messes in just about every room of the house. I didn’t stress over keeping the house picked up but they did have to do the quick pick-up before daddy got home each evening. They also had their regular chores (dishes and trash) that they had to keep up; but on their own schedules. I decided this was one week that we were not going to let the mess stress us out. My kids both passed out with smiles on their faces tonight and told me repeatedly how much fun they had this past week. What more could I ask for? I’ll take the messy house and crazy schedules any day to see those happy smiles. How did YOU survive Spring Break? Did you go anywhere special? Did you have to juggle work and play like me? I would love to hear your stories in the comments. Disclosure: Thank you to Rogers and Seattle’s Best Coffee Companies, AirHeads, iBlog, and AirHeads for helping me survive Spring Break. Product samples and/or services were provided to our family. The opinions expressed in this article are my own and do not represent those of the companies mentioned.